Hello! 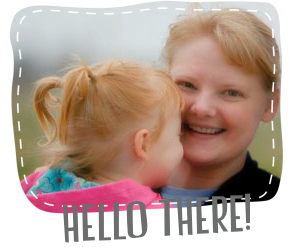 Welcome to Good Golly Ginger! My name is Katie, and I am a long arm quilter and quilt pattern designer. Once again, for a second year in a row, I am taking part in the Grow Your Blog hop hosted by Vicki at 2 Bags Full. Thank you Vicki for hosting! Note: There is a giveaway at the bottom of this post! For those of you who are new here, I love fabric! I love thread! I love quilting! And I love designing patterns! I also have a fantastic husband and two lovely ginger daughters who are 7 years-old and 3 years-old. We live happily in Northern California. I bought my first sewing machine five years ago...watched some videos on youtube, and I was hooked! I started sewing diaper covers and dresses for my oldest daughter. Years later, I sewed cloth diapers for my youngest daughter. About three years ago, I became interested in quilting by watching free motion quilting videos on youtube...hooked again. My husband and I have fixed up an old HQ-16 long arm quilting machine. He built a table for it, and I keep adding upgrades to it. Late last year, I began my long arm quilting business, and it has been wonderful. I also have begun creating new patterns, and now I have a Craftsy shop too. I started blogging about one and a half years ago. I love following all of the inspirational sewing blogs. At this point, I am so grateful to now have over 600 Bloglovin' followers. Holy Shmoly! It's amazing, and it really drives me to share new quilts. Now, it is time for a giveaway! This giveaway will close on Sunday, February 15, 2015 at 5 p.m. PST. I will choose a winner at random using random.org. Thanks again for visiting via the Grow Your Blog Hop. I'll be taking some time to visit all the other blogs too. 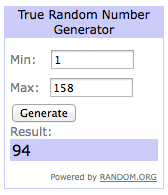 Congratulations commenter number 94! Kim, enjoy your Aurifil thread! Thank you to everybody who participated in the Grow Your Blog giveaway! Hi Katie. I am one of those bloglovin' followers. I love coming here for inspiration. That's what blog reading gives me. You do some lovely work. Wow what lovely quilts - I too have a ginger son although my other son is blonde for some reason! I am joining you via Grow Your Blog and will be back to visit you again soon! Have a great day. Sunshine Girl - Grow Your Blog section 24. I'm one of those Bloglovin followers, too!! I'm also only recently into quilting and blogging (I'm not quite at my one year blogoversary), but have found this online quilting community to be fabulous!!! Congrats on the long arming business, too! I dream of doing that one day, perhaps when my kids (5, 2, and in utero) are older. Hello! I'm visiting from Grow Your Blog Hop. I'm in Group 24. What a lovely give-away. I have a soft-spot for Gingers--my sister-in-law is one. 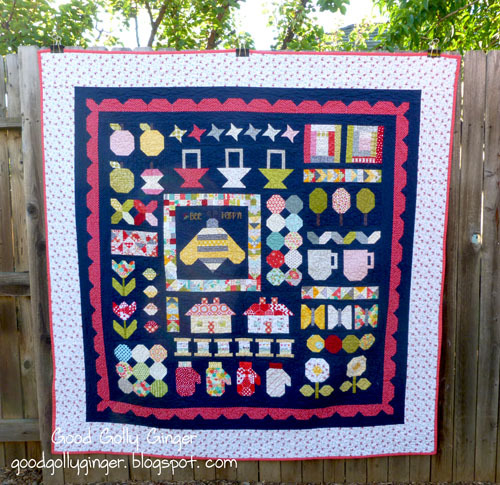 I love your quilt designs :-) Can't believe you have only been blogging for a year and a half! Hi Katie! I am one of your Bloglovin followers too. You are very talented! I am a bloglovn follower - I enjoy reading your blog! thank you! I follow you on Bloglovin! Your quilts are lovely. I follow you on Bloglovin'! Your quilts are gorgeous. Simply gorgeous. I grew up in a Northern California and still miss it, so it's nice to see bits of it in your photos! 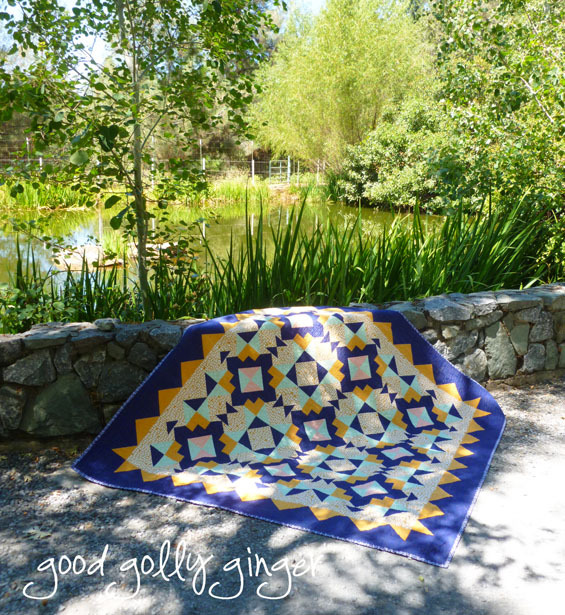 I'm another Bloglovin' follower and thank you for sharing your beautiful quilts with us. They are so inspiring! Beautiful quilts! They make me want to quilt again! I love your quilts. I started sewing with doll dresses, then my own clothes, and moved onto quilting a few years ago after a long break. Hi, Katie - nice to meet you! I'm a long armer, too, and fabric lover and my middle name could be "Hooked On Quilts"! I love the name Good Golly Ginger! I'm hopping along with this party over at Mountain Quiltworks. Stop by if you have a minute. See ya! Your quilts are so fresh and happy! I am a quilt maker and would love to have a long arm but just don't have the space so I work on a DSM instead. Thanks for the chance to win some Aurifil thread. I've never tried it! 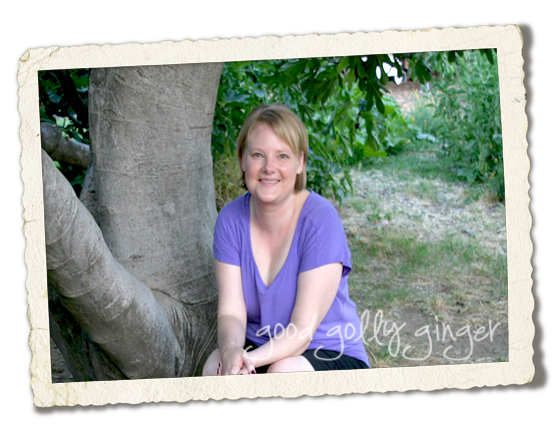 Hi, I'm one of Vicki's helpers checking all the blog links as part of the Grow Your Blog hop. I love your work, your quilts are awesome! Have a great day. Congratulations on reaching over 600 followers! I enjoy reading your blog! I owned my first sewing machine long ago and have been sewing since. The quilting bug took a bite and now that is what I enjoy. It is most enjoyable when we find something we love to do. You're on my Bloglovin feed. It was fun looking at pics of your quilts! 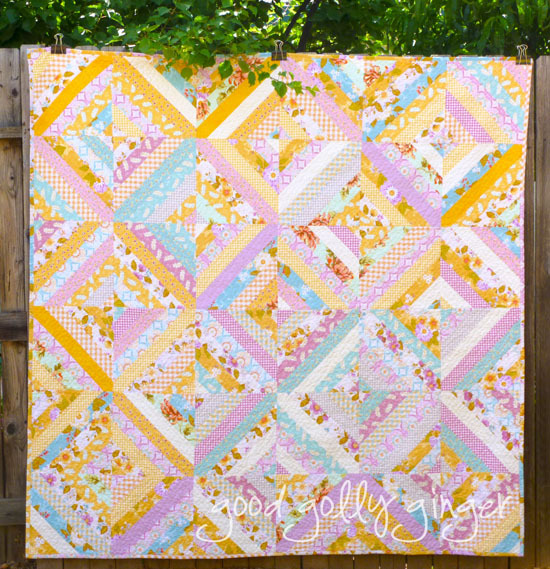 I love the Lori Holt quilt - the sampler. Great colors! Beautiful quilts. I am a follower. Emily C sent me over here and so glad I did. Love your owl pattern. So cute! Thanks for the chance. I love Aurifil thread. Katie, I follow you on bloglovin. I love your patterns, and I especially like your "bee" quiltabove. Hi Katie, I am a bloglovin follower. Your quilts are beautiful. hi Katie! found and followed you via the gyb party. i'm looking to start quilting sometime soon - have all of the basic supplies, but... haven't gotten to it yet! hope you'll stop by and visit me as well! have a great weekend! your quilts are gorgeous and i really enjjoy following your blog. I love your quilts and the colors you choose to put together. I am about to dive into quilting again. I did a little bit of it years ago but I am going to try again now that I have a bit more time. You have a lovely blog. Beautiful quilts - especially the blue and yellow one! - and lovely settings for your photos! I would love to win the thread. THANK YOU! Visiting via Grow Your Blog. I live in eastern Canada and also participating in this blog hop. Lovely quilts. Thanks for the giveaway. Now that's a giveaway I can see putting to work right away...meanwhile I'm enjoying browsing in your blog and admiring your skills with color and shapes in your quilts. Thanks for visiting me, too! and for the nice welcome to GYB. New bloglovin follower! You've got some cute stuff going on over here! Hi Katie, just finding you from the party-your quilts are just lovely-thats awesome to be able to design patterns-good luck with everything. Your projects are beautiful. Thanks for the chance to win. Hi Katie! Another redhead (although dark auburn, not a ginger really) visiting from the Grow your Blog party! I am also in northern California, in Sacramento and have just gotten back into quilting! (In fact, I am looking for a person to quilt a quilt I am working on if you want to contact me, not sure if we are nearby each other but I would love to know how you charge to quilt!)... anyway looking forward to reading more of your blog and have marked it as one to follow. Found you cause we are in the same section in Vickie's list! Glad you did the blog hop! Love your quilts and other projects. Thanks for a chance to win. Beautiful quilts, Thanks for the giveaway. Hi Katie, so nice to "meet" you on the GYB hop. Its such great fun, isn't it - so many wonderful blogs to discover! Love all your colorful quilts. What a beautiful setting for photos in that second quilt photo- the low stone wall near a pond. Beautiful!! Have fun on the GYB Party! Hope you'll stop by Stitch Lines. Love, love, love your beautiful quilts. Stopping by from Grow Your Blog and so glad to come and visit here. I really like the blue (background) qullt you made. I really need to get out of my structured box and work on something like this! Good job! I love your Christmas medallion!! I've been following you for about a year now. I have just discovered Aurifil and LOVE it. Thank you for the chance to win! I've enjoyed following your blog on Bloglovin'. I follow you on Bloglovin', and I have to admit that in addition to be a awesome designer, I have a tender spot in my heart for redheads, as I both my boys are gingers....Thanks for the chance at the giveaway! I thought I was going to run out of breath before I got to the end of your comment list! What an exciting blog! We have lots in common: you sewed diapers, I sewed underwear for my little daughter who was too skinny for store bought. You are a redhead, I always wanted to be red. Do you have freckles? I want those too. I'm fair skinned so freckles wouldn't be an issue. I quilt, you quilt. I'm going to love following you. Thanks for the offer of that gorgeous thread for the giveaway. Hi Katie! I love your quilts and pillows, and especially the weekender bag you made! And the little girls' costumes are adorable! Thanks for sharing all this wonderful eye candy! I'm following your lovely blog via Bloglovin. cheap pure asics running shoes sale asics shoes sale uk Meihuazhaohua buy buns do not come here, do not come here to ask for directions. asics shoes sale uk and then they know asics shoes sale uk that cheap already see myself that this is deliberately amuse themselves, so more shy, kept to buy buns things forgotten. Buy buns ah. Originally wanted to say so, but it is just shy, had not bought a hurry to leave, cheap asics running shoes but they did not asics shoes sale uk want to leave. I follow you via email and have enjoyed your blog very much. Glad to see you are getting more followers. Looking forward to seeing what you are working on next. I love the color combinations you use in your quilts. I follow you via e-mail. Thanks for the information and the giveaway. Nice to meet you Katie and also very nice to meet a younger person who loves quilting. My DIL thinks you need to have grey hair in order to quilt (grin). Aurifil thread is my very favourite thread for piecing. I have my vintage Singer 185K's bobbin tension set specifically for that and its the only machine I use for piecing - it does such a wonderful job. Lovely quilts. Enjoyed your post. Those three colors would look great in a quilt! Your blog is so much fun to read. Love your beautiful quilts! Such beautiful quilts you've made! Thanks for the giveaway and the chance to win. I've never used Aurifil thread but have been wanting to try it. Thanks for the chance! Lovely quilts! Hi from one ginger to another, I'm hopping over from GYB party. Your quilts are amazing. Thanks for the giveaway! Your quilts are beautiful!!! Hi Katie, Your quilts are just gorgeous. Isn't it interesting how something can continue to pique our interest after many years! I'm one of your 600 Bloglovin followers. 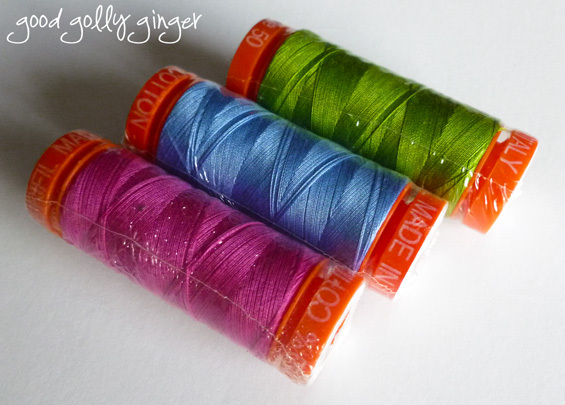 Thanks for the chance to win some great Aurifil spools! Wow, it's amazing what you can accomplish in just five years when it becomes your passion! Now I am so motivated! Thank you! Very nice to meet you Katie! All of your quilts in the pics above are lovely, but I especially love the first one! Following you on Bloglovin' now via the GYB hop! Have a great week. I love your colour choices in your quilts! Hi Katie, (my daughter's name), I would love to have some nice thread. My town only has a WalMart and that is where I get my thread. Poor me! Beautful quilts. I love the aurefil threads though no local places to buy anymore since outlocal quilt shop closed. I am happy I visited. So happy to be following your blog - I love your work and look forward to seeing your newest projects! Loved seeing your quilts! I'm embarking on making my first quilt (king sized - nothing quite like falling in the pool in the deep end!!). Thank you so much for the invitation to visit. Enjoy the party! I am a newbie to quilting. I don't remember how I came across your blog, but I have been following via email since then. Hello, I'm a new follower via email. I look forward to your posts, have a great day! Lovely blog, and lovely giveaway! I will be digging through your archives to see your long-arming. I love quilt-y texture! Greetings from the Pacific Northwest! I love your quilts! Following you on Bloglovin! Keep creating. I follow you on BL and your patterns are such fun. I really enjoy them a lot. So much gorgeous stuff to look at on your blog! I'll be back! Your quilts are gorgeous! One of these days I will make a string quilt. A great way to use up scraps. A delight to look through your blog. Beautiful quilts, makes me want to start on one right now! Thanks for the chance to win! I am a new bloglovin follower! Hi Katie, I've been following you for a while but it's good to learn more about you! BTW two of my sons are hinger!! Greetings - nice to meet you. I'm visiting via GYB party. My goodness, you are such a talented lady! I'm now a follower. These are absolutely amazing colors... thank you for the amazing blog! i'm located in northern california too! But over the years, my eyes continued to worsen, cheap ted baker dresses and the tests they required got more invasive and uncomfortable: numbing drops, a blinding blue circle of light, the dreaded pressure-testing instrument that pushed against ted baker dresses sale my eyeball, causing me to irrationally worry that it might pop. By age sixteen, my eyes were worse than my father’s, a man so nearsighted he ted baker outlet was nicknamed “Mole” for how squinty and helpless he seemed when he didn’t have his glasses on. what sewing fun you are having. I love the quilts that you have displayed here and all of the colors. Sounds like you have made quite the progress with your sewing and your blog. Congrats! I have enjoyed visiting and will be back again for some inspsiration. Visiting from GYB event. Wow that blue and gold quilt is amazing! I don't know if I would have the patience to do one that large! You have a LOVELY blog and beautiful quilts. I was in awe. I'm not a seamstress, but call myself a wanna be sewer. You are truly a seamstress. So nice to read how you started with something old and made it work for you. Now you have a great business to rely on as a result. What a wonderful story that makes. I guess you can tell I really enjoyed visiting your blog. It was a genuine treat. I have enjoyed seeing your quilts and your photo settings are lovely. Beautiful quilts! You have such a wonderful color sense. Thanks for the opportunity to win some of my favorite thread. Beautiful quilts! How great that you have been able to start your own business. I'm fairly new, about a year in, and I love your work! I've got your Christmas pattern and I can't wait to make it! I will start in the next month or so, it is so beautiful! Thanks for the giveaway! Hi.. Glad to know you via GYB party. Your quilts are so lovely. Although I'm not good at sewing, i love admiring your wonderful works.. Thanks for stopping by my blog and looking forward to read more of your posts. Have a great day! Hi Katie! I'm visiting via GYB and enjoying looking around your blog. Your quilts are so bright and cheerful...I just love 'em! Hello Katie! Dropping by on the GYB party, from snowy cold eastern Canada. I've enjoyed a quick browse around your blog and will be back for a longer look. Drop by and see me too, if you have time. Have fun with GYB! Katie your projects are all wonderful. I found your lovely blog through the GYB party. Thanks for the great giveaway, I love aurifil thread. HI, I'm a textile artist, visiting, via GYB, from St. John's, NL Canada. I'm enjoying my visit to your blog . Such colourful things! 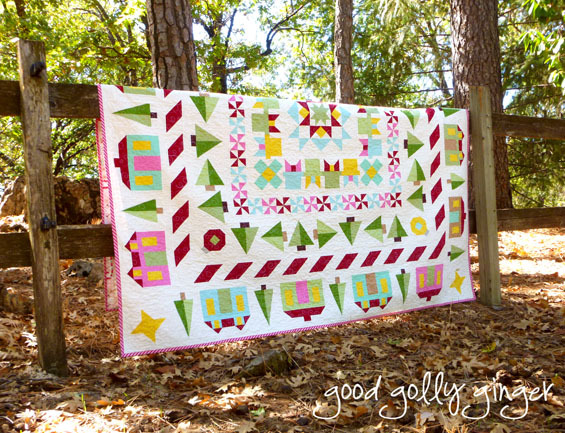 Love how colorful & striking those quilts are and those giveaway thread colors too! Your photos are wonderful! I LOVE your quilty fun quilt. Thank you for the chance to win such a lovely useful prize. the colours are gorgeous. I love reading your blog, been following for a while now. Hello, found your blog via GYB to which I'm participating for the first time. Lovely work you make. Good luck with your long arm quilting and the Craftsy shop. It was nice to learn more about you. I love the colours you use in your quilts. I've been following your blog for a while now. I absolutely love your Christmas quilt. Hello Katie, visiting you here from Australia from the GYB party. I have enjoyed seeing your work. Thanks for sharing it. I've just started using aurifil thread, but it seems to be working really well, so I'd love to win some more! Wandering through and visiting via the Grow Your Blog Hop. Northern California. My extended family is from Northern California between Eureka and Yreka. Dang, Ginger, I could have used that fern green last night for a binding. I looked through every spool of thread that I own and not a single fern green to be had. I love your quilts, they are so bright and alive. Can I be like you when I grow up? Thanks for the giveaway relation. Really enjoy your blog, (been catching you regularly on Sew mama sew links). The new shattered plus quilt is quite stunning. You did a bang up job. Thanks for the chance to win. I enjoyed learning about you and what you do. Its a pleasure meeting you. I've became a new follower. I love your quilts. Thanks for giving us a chance to win something. My email is per7867@yahoo.com. Aww, what a nice giveaway! I only just learned to quilt so I'm pretty happy to see all the quilting bloggers online so I can see what designs are out there and what tips I could use. :) - afistfuloflemons @ gmail. I have been following you for a while (on Bloglovin'). I really enjoy seeing your projects! I have a Grow Your Blog giveaway for the 15th as well... My prize is a little mini quilt that I made. Your quilts are awesome! Thanks for a chance to win. Katie, you make me laugh and smile. I love thread too! And "holy schmoly" sounds like a mid west expression..ha ha are you sure you are from Cali? Thanks for the chance at some Aurifil, absolutely love it as does any machine I sew with . 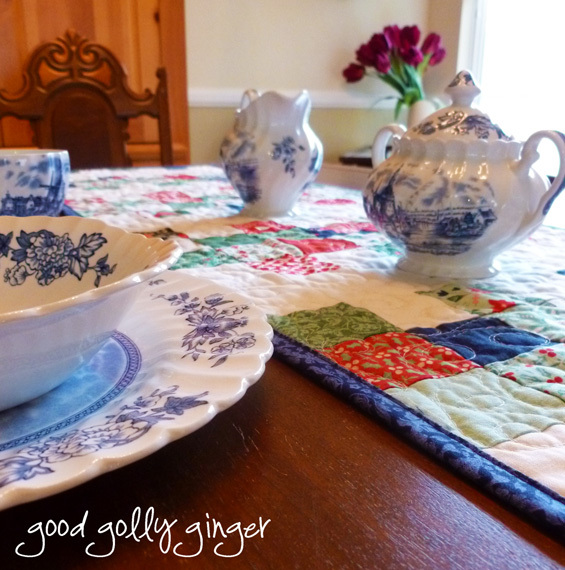 I'm glad you are hooked on sewing...it's such fun to be inspired by bloggers who love it too. Lovely colours. I can always use more thread. Thanks for the giveaway. Love Aurifil! Thanks for the giveaway! I've never done much with colored thread and need to experiment to learn. Thanks for sharing! HELLO, Thanks so much for sharing your beautiful projects! Love these threads+Thank You for this giveaway! I've followed your blog for some time... enjoy checking in on your projects! You have some beautiful quilts here! Very nice quilts on your blog. Thanks for sharing. I love your string quilt, the colors are so pretty. Also love your simple giveaway, no hoops to jumpy through, no "likes" to click, no mandatory follows, Thank You! Enjoyed reading your posts while cruising thru on my blog hop. Very inspiring. You do nice work. Thanks for sharing!